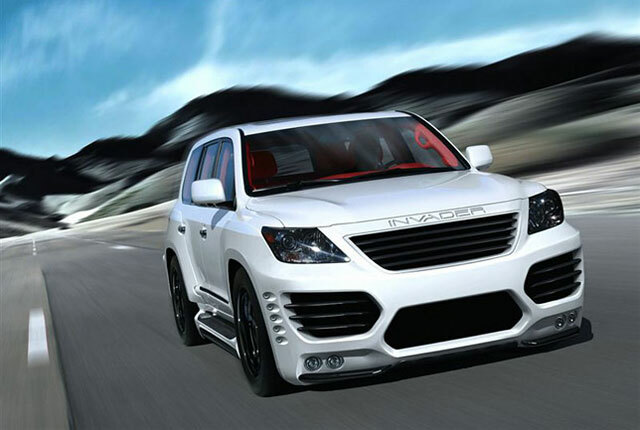 Dubbed the ASI LX 570 Invader, ASI has tuned the LX to push out 600hp, which equals a 0-60mph in less than 5 seconds (the stock LX 570 need 7.4 seconds). 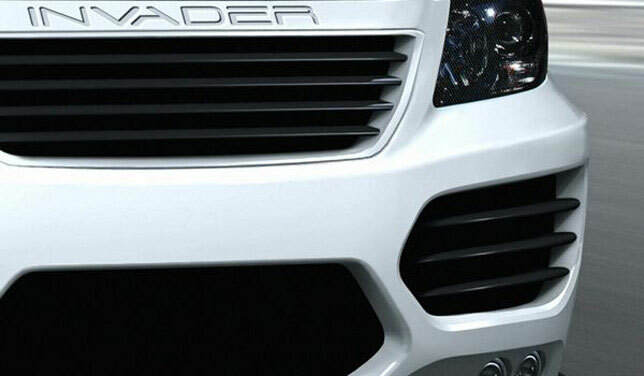 Of course, there’s more obvious changes — the front end has been totally restyled with a new front grille (INVADER!!) and bumper with massive air intakes. There’s also new side side skirts and glossy black rims, along with a significant height drop. 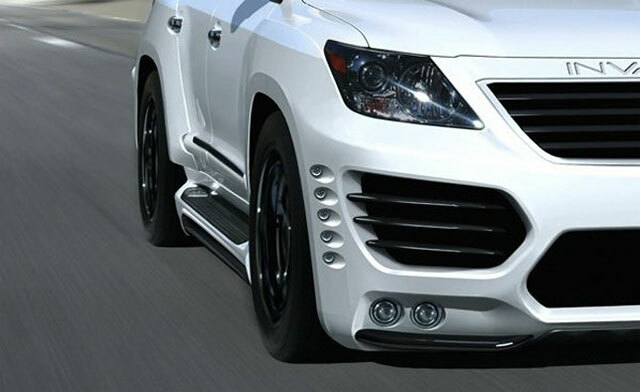 There’s some very obvious Cayenne design in there, only dialed up to the extreme — I’d certainly be interested in learning more about the power boost, though. Luis: The Japanese "Range Rover" has arrived ladies and gents!